Italy halts planned wolf cull after howls of protest…..
Babylonians Tracked Jupiter With Advanced Tools: Trapezoids…..
Has Bigfoot come to Manchester? Father, 37, is baffled after spotting a giant footprint complete with claw marks while out walking his dog…..
“Disney Darkside” – A Talk by Carl James…..
We were told that this rock art at Ubirr, in the Northern Territory, Kakadu depicted aboriginal people hunting. “Why did they paint themselves white then?” asks some heretic (ahem) at the back. One very pervasive feature upon the landscape of the strange is that of the spectral, phantom hound. No doubt the most famous of these is the black dogs of the British Isles; demonic entities often associated with the Devil that room the countryside in the form of fierce hounds the black of night, which were often seen as a portent of death and destruction. Yet there is a lesser known variety of these formidable entities in the form of similarly large, ghostly dogs that appear as a decidedly lighter shade; the white spirit hounds. Far from being the opposite to the malevolent nature of the black dogs, these paler versions have proven themselves to be just as sinister, and have haunted both folklore and the real world for ages. consist of my new and previously unpublished work. All Aboard the Experimental Worship? 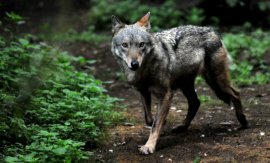 Italy on Thursday put on hold a controversial plan to cull five percent of its wolves, much to the relief of environmentalists and animal lovers who had mobilized across the country. The measure had been set to be adopted at a Rome conference of state and regional representatives but after meeting fierce resistance the decision was taken to study the issue further. “The wolves are not yet safe, but for the moment common sense has triumphed thanks to the protests,” said Michela Vittoria Brambilla, head of the Italian league for animal and environmental protection. Newly translated ancient tablets show that ancient Babylonian astronomers used unexpectedly advanced geometry to understand the planets. 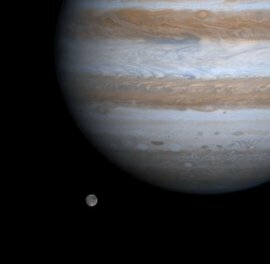 The find, described on Thursday in the journal Science, reveals that Babylonians tracked Jupiter by calculating the areas of trapezoids they used to symbolize the planet’s motion across the sky. This geometrical trick rewrites the history books: The technique was thought to have originated in England more than a millennium later. A father was baffled to find a mammoth footprint complete with giant claws while on a dog walk. 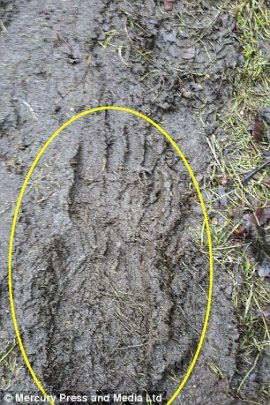 Jim Salveson from Chorlton, Greater Manchester, was strolling through Kenworthy Wood with collie Ruby when he came across the enormous impression in the mud. Dumbfounded at who or what could have made the mark that appears to be a human footprint with four claws at the tip, dad-of-one Jim snapped it to show pals. Disney is synonymous with wholesome values, memorable stories and films that will put a smile on the faces of all the family. But is there something far more sinister lurking beneath the surface of the “House of Mouse”? In this presentation, alternative knowledge researcher and author of the book “Science Fiction and the Hidden Global Agenda” will examine the long-known “dark side” of Disney – looking at its documented relationship with the military / industrial complex, and their use of embedded sexual and arcane symbolism, social engineering and fragmentation, alleged mind control programming, and so on. 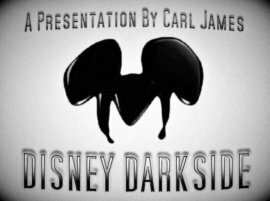 Carl will also recount how his research brought him into contact with a prominent Disney insider and how this contact set him off on an even darker investigation – one that involves the likes of J.J. Abrams, Star Wars, Saturn worship, energy, consciousness, transformation, and the very nature of reality. In asking the question – what are Disney really up to? – Carl may have uncovered a startling answer with implications for all of humanity. Carl will be speaking at Birmingham Truth Juice on 14th February at 8pm. This entry was posted in A voice for nature, Ancient, Art, Conferences & Talks, Consciousness, Conspiracy, Crime, Ellis Taylor, Experiences, Footsteps, History, Howlin' at the moon, Interviews, Mark Reeve, Mysterious, Numerology, Occult, Sacred sites, Science, Spirit & Soul, Teachings and tagged astronomy, babylonian mathematics, Disney, gannymede, italy red wolf, jupiter, Pizza Gate, symbols, wolf. Bookmark the permalink. Thanks Di. Good to hear.